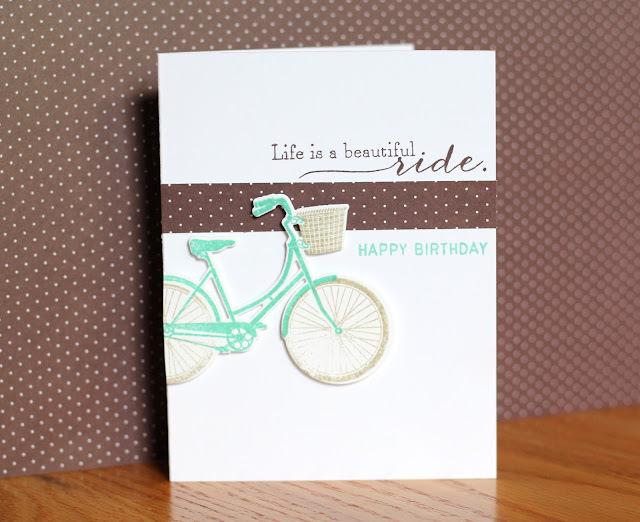 I just got new Papertrey toys yesterday so I pulled out the new Pedal Pusher set to play with today. I've also been wanting to play the Fusion Card Challenge and am just going to sneak under the deadline. Thanks for checking out my blog! love the way the bike is cut off!! 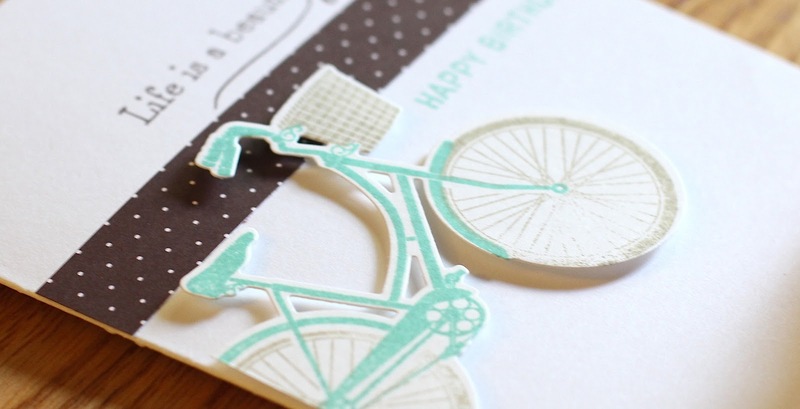 LOVE, LOVE the colour combo - that bike looks FAB against the spotted paper! Debbie, what a LOVELY card! I'm voting for your card! What a fun take on the challenge! 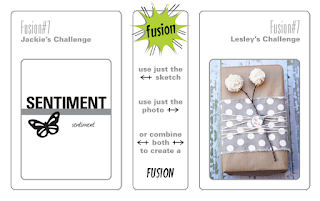 Thanks for joining us in the Fusion Fun!